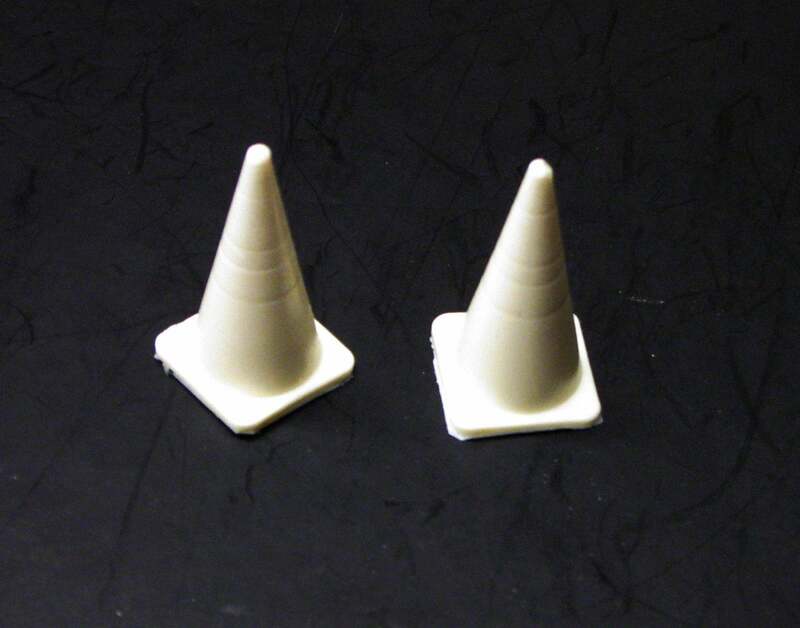 This is a set of two resin safety cones for 1/25 and G scale models and dioramas. The cones are cast solid and measure approximately 1 1/8" tall/ It has minor air bubbles and flash and requires minimal clean up. It can be painted with enamel, acrylic, or lacquer paints. This is are scale cones for scale model vehicles. It is not a real cones.